Hi everyone, today I'm back with another video. 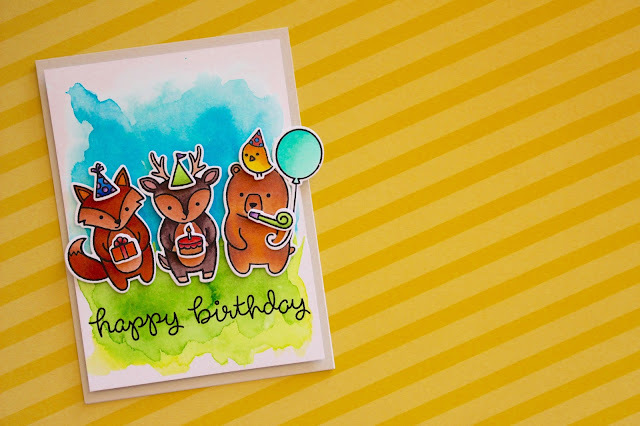 Today I'm using the Party Animal stamp set by Lawn Fawn with my copic markers, for a fun and easy birthday card. This is the card I made. I made up a simple water coloured background with some distress inks. Then I copic coloured all the images and made up a cute little scene. 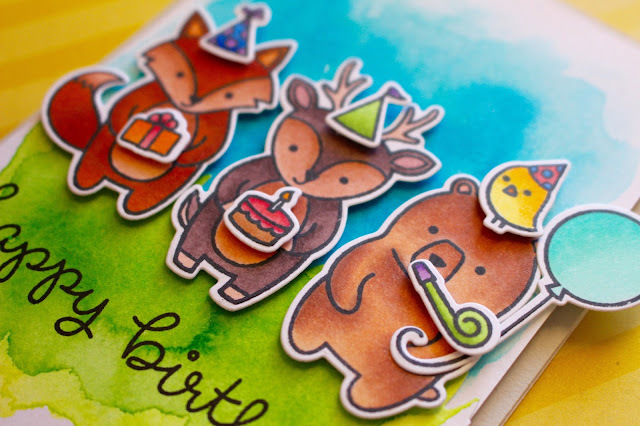 I think this is such a perfect set and it's so easy to make a quick and easy scene for a card, especially with the coordinating dies! The video includes all the steps I used to make this fun card. I hope you enjoyed and I'll catch you all soon!